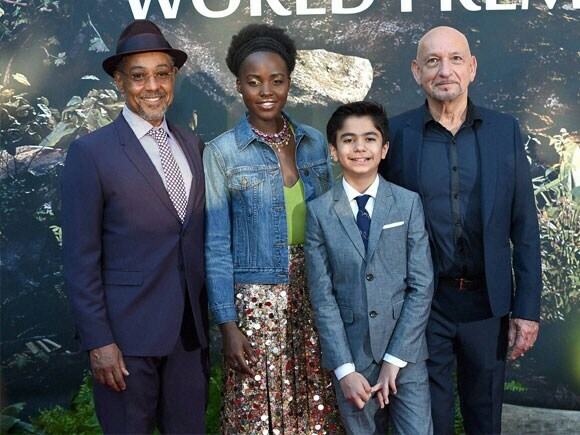 Giancarlo Esposito, from left, Lupita Nyong'o, Neel Sethi and Ben Kingsley arrive at the premiere of The Jungle Book at the El Capitan Theatre. 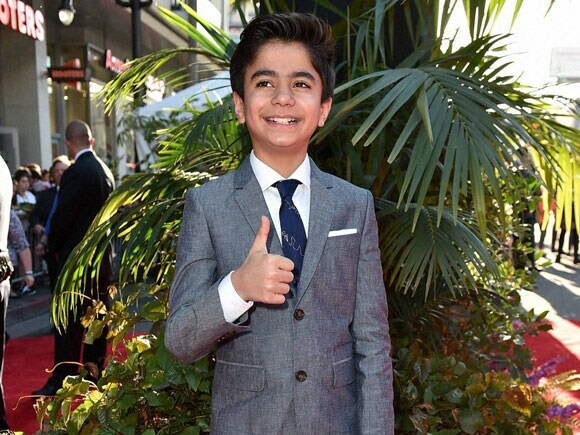 Neel Sethi arrives at the premiere of The Jungle Book at the El Capitan Theatre on Monday, April 4, 2016, in Los Angeles. 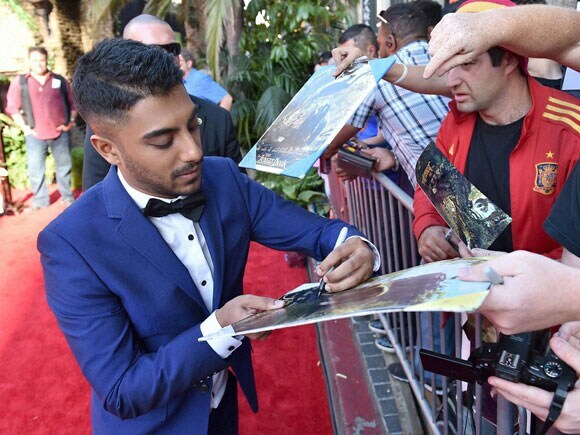 Ritesh Rajan signs autographs for fans at the premiere of The Jungle Book at the El Capitan Theatre on Monday, April 4, 2016, in Los Angeles.